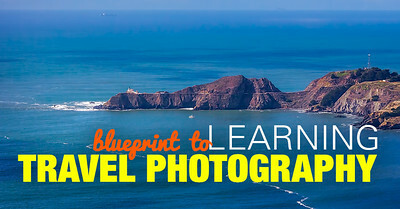 Finding the perfect location is the big part of travel photography. Before you start thinking about shooting techniques and composition, you have to do extensive research and planning. For me, it takes a couple of weeks, prior to the trip, to pinpoint all the locations I want to visit and photograph. 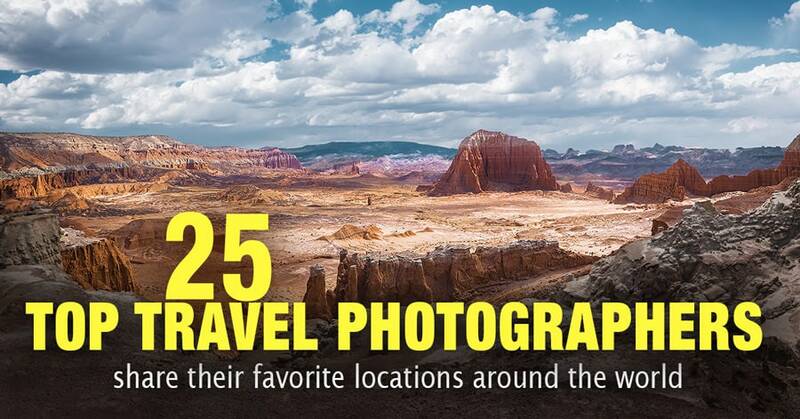 This time, I decided to hack the process and instead of doing heavy lifting myself, I asked top travel photographers to share their favorite photo locations around the world. Deadvlei is tucked away among the largest sand dunes in the world in Namibia’s Namib-Naukluft National Park. This large clay pan is littered with ancient camel thorn trees which allow for an infinite number of compelling compositions and surreal natural landscapes. At the risk of sounding like hyperbole, since many locations are referred to as such, but in this case the claim really is true: Deadvlei is a true photographer’s paradise. Josh Cripps is a wilderness photographer, international traveler, and adventure enthusiast living in California’s breathtaking Sierra Nevada mountains. During beautiful sunsets you will often hear him yelling like a lunatic. As you might expect, any area named after the most famous landscape photographer of all time is going to be breathtakingly beautiful. And the Ansel Adams Wilderness in California’s Sierra Nevada mountains is certainly no exception. This vast wilderness boasts crystal clear lakes, numerous small glaciers, and stunning 13,000-foot peaks. There are no roads into the wilderness and access to the area is limited to a number of foot and stock trails. 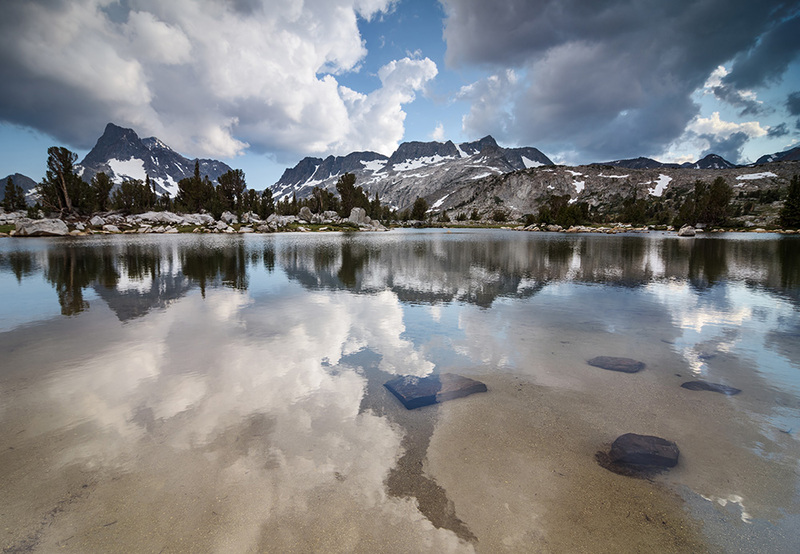 Two of North America’s most famous hiking trails, the John Muir Trail and the Pacific Crest Trail, also run through the Ansel Adams Wilderness. The remote nature of this wilderness gives it an almost primitive feel, as if it’s a landscape completely separate from our modern lives. Because of the endless opportunities for stillness and serenity it provides, along with its photogenic grandeur, the Ansel Adams Wilderness is at the top of my list for photography destinations. 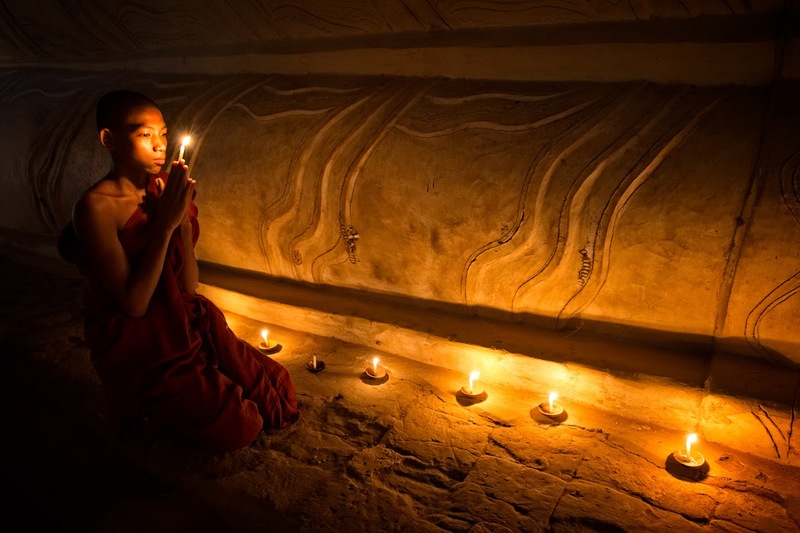 Ken Kaminesky is a commercial travel photographer and visual storyteller. His work has been featured in numerous commercial publications, including the New York Times and on the cover of National Geographic. He communicates his passion for travel, and for the landscapes & people he meets along the way, through his popular blog, and through yearly workshops in places as far-flung as Jordan, Italy and Iceland. His favourite place in the world is always his next destination. He believes that everywhere has a story that will inspire people, and he’d love to capture it in an image. He doesn’t usually talk about himself in the third-person. Choosing Italy as a favourite place to photograph is almost cheating since it is so varied in the kinds of wonderful opportunities that it presents to photographers.I can’t say that I have one particular place in Italy that is so much more of a favourite to photograph than another since the whole country is epic beyond belief. I’m not done exploring Italy either. On my list now is Sicily, the Dolomites, Amalfi, Capri, and I’d really love to do a month or two long road trip in the south of Italy. Italy is not just awesome for the photography opportunities but also for the food, wine, culture, history, architecture and did I mention the wine? Viva Italia. Italy. Manarola in Cinque Terre. 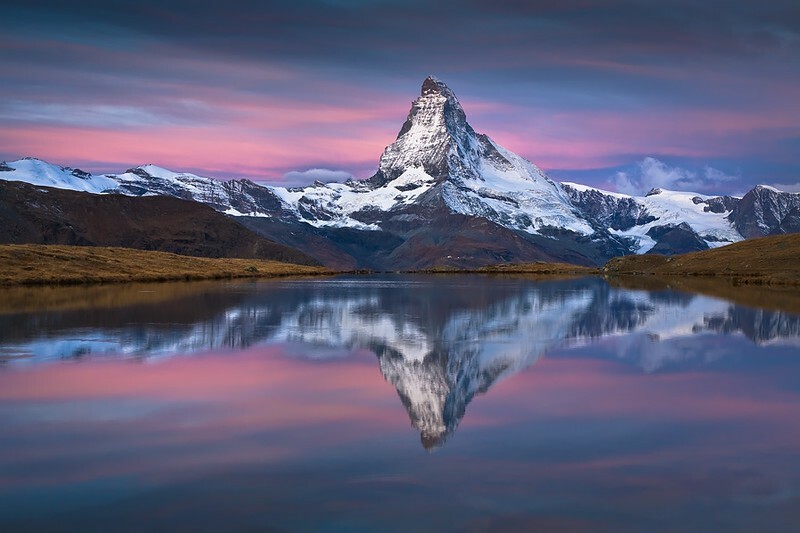 Elia Locardi is an internationally recognized professional travel and destination photographer, writer, public speaker and educator who spends his life seeking out and capturing some of the most beautiful and inspirational locations in the world. 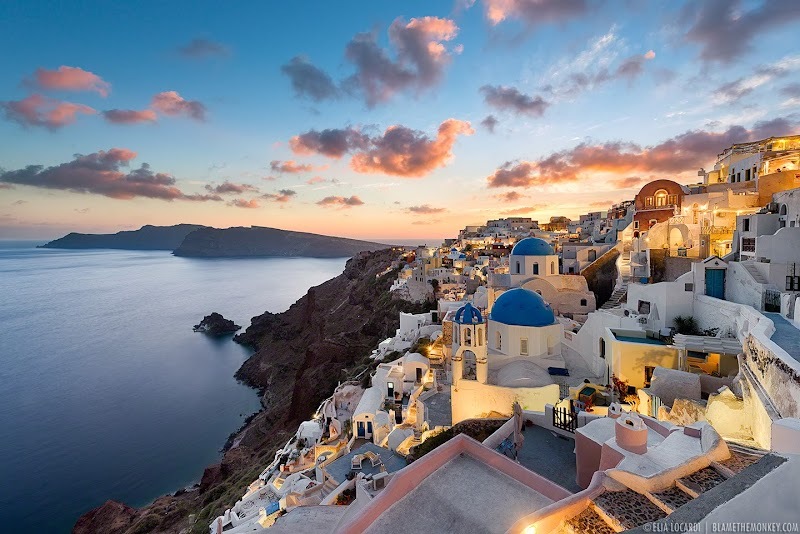 There are beautiful sunsets and then there are Santorini sunsets and over the years, the town of Oia has become world famous for them. In fact, thousands of travellers flock to this little Greek Island each season just for the chance to witness this golden spectacle of light. Is it worth it? Most definitely! Photography is why I breathe, baby. That’s lifelong, undying love and passion. It’s all about: Connection. Inspiration. Story. Humor. And Beauty. Who couldn’t do with more beauty in the world? I love photographers because they wear their heart on their sleeve and it lives in their work. Their breathtaking world view. Their intensely personal story… the one that we just HAVE to tell or our hearts will simply burst from the withholding of it. My favorite photo location has to be New Zealand. I feel like I could spend a lifetime exploring all that it has to offer. Every frame is just stunning, no matter what or where; each new vista is just gorgeous beyond reckoning. The place has a thousand moods. It’s mysterious, brilliant, epic in scale.. and the varietal shades of blue are unlike anywhere on the planet. It fills you up from the inside out with deep inspiration and beauty on a scale that takes your breath away. Repeatedly! And although I’ve been there, it pretty much has a lifetime membership to my bucket list. Nicole is a food, landscape, and travel photographer living in Portland, Oregon. She can be spotted photographing waterfalls with her husband, Brian, or out in the rain walking with their dog, Kodak. Nicole writes books and creates educational content for her website, contributes articles about photography and post-processing to Photofocus.com, and also sells eBooks and other content for photographers in her online store. My favorite place I have traveled to so far would have to be Vietnam. The people are kind and friendly, the food is amazing, and there is just so much color! 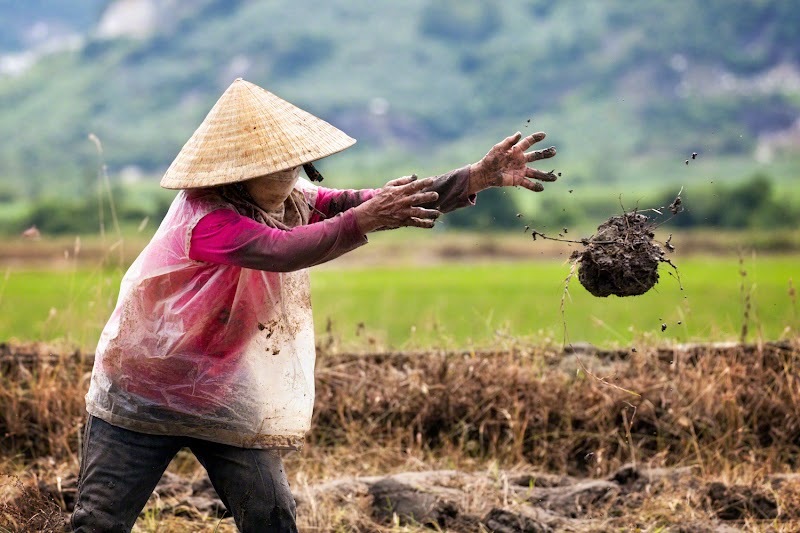 I photographed this image while on a ride through the Vietnam country-side as a passenger on a local’s motorbike. He took me to some of the back-roads locations where I was able to see parts of Vietnam that are a little bit off the beaten path. It was an incredible experience, and I can’t wait to return. Colby Brown is a photographer, photo educator and author based out of Denver, CO. He specializes in landscape, travel and humanitarian photography, as his portfolio spans the four corners of the globe. For years, Myanmar has been shrouded in mystery as its oppressive military regime kept a close hand in keeping the country relatively locked down. This all changed just over two years ago when the country instated a form of democracy and since than their borders have opened allowing a flood of photographers and travelers into the country. One of the most beautiful places to photograph is Bagan, known for its thousands of Buddhist stupas and pagodas that line the valley floor. If you have the opportunity, check out Myanmar now, before too many people visit and it begins to lose what once made it so special. Christopher O’Donnell is a coastal landscape photographer and educator based in Boston. Through his work, he likes to show a vantage point that is rarely seen in reality; a show of beauty, emotion, and serenity. There are countless mesmerizing scenes among us that are often hidden from society – his goal is to expose them to the world so that you may share the wonders he has seen. After college, Christopher returned to the coast of New England to pursue his love of landscape photography and has made it his career. Maine is a particular favorite of his as it’s one of the few states that is relatively untouched by human interference, which in his mind, makes it the perfect landscape. Christopher’s work changes like the seasons of New England, which always presents him with surreal opportunities to create something unique. Favorite location: Five Islands in Georgetown, Maine. “Maine: the rocky coastline, mountains, the ocean and the lakes all in one state. My favorite part about Maine is the coast, where you can live in a small town and still not capture every unique and breathtaking spot since there is so much variation to the coastline here. I also like the absence of big crowds – even during the height of tourist season in Bar Harbor, I still find it easy to slip away for a landscape photo in solitude. French Landscape and Wildlife photographer. The nature and the great outdoors, I learned to love it small, while I was hiking in the mountains with my father. The camera in hand, it is now as I wander through the mountains, coastlines, landscapes, in quest of magical moments. I like to bring back evidence of the beauty that nature offers us. The Alps are beautiful mountains. If I had to show one, it would be the Matterhorn. The perfect mountain for me … slender, elegant, legend of mountaineering. Brendan is a travel photographer from Alberta, Canada though he rarely spends much time in one place at a time these days, let alone home. Over the past 5 years, Brendan has travelled to around 80 different countries photographing them all. Well Brendan doesn’t focus on one brand of photography more than an other. Instead, he’s always aiming to create a nice variety to his images of nature, cities, and people in which best describes the destination of the day. I had a blast shooting photography in China. It is just such a varied country. There is so much diversity. One day you may find yourself in the rain forest, and the next in the desert. 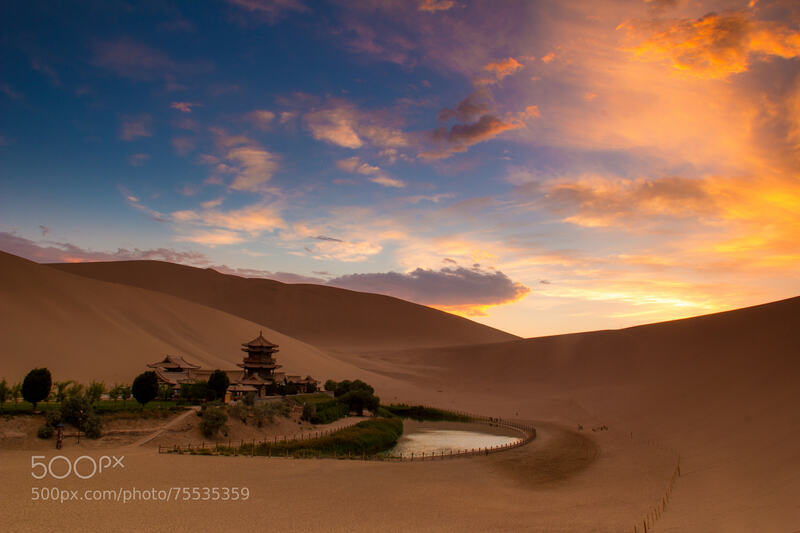 I took this image in a section of the Gobi Desert near Dunhuang in China’s under-visited Gansu Province. I was staked out at the spot waiting for the light for about an hour waiting for some nice light. Finally, just after the sun dropped behind the dunes, I got some brilliant light on the sky and soft light baking the temple. I only got one photo exposed before the light disappeared and went back to dull. I’m glad I managed to capture this moment, because it was an awesome one. Ugo Cei is a fine-art travel and landscape photographer from Italy. He believes this is really an amazing planet that we live on and every place and every culture possesses the beauty that deserves to be shown, so he tries to catch every available opportunity to travel and to create new images of foreign cities, their inhabitants and of natural landscapes. He is also passionate about sharing his knowledge, so you can find him contributing articles and tutorials on several websites, starting with his own blog. 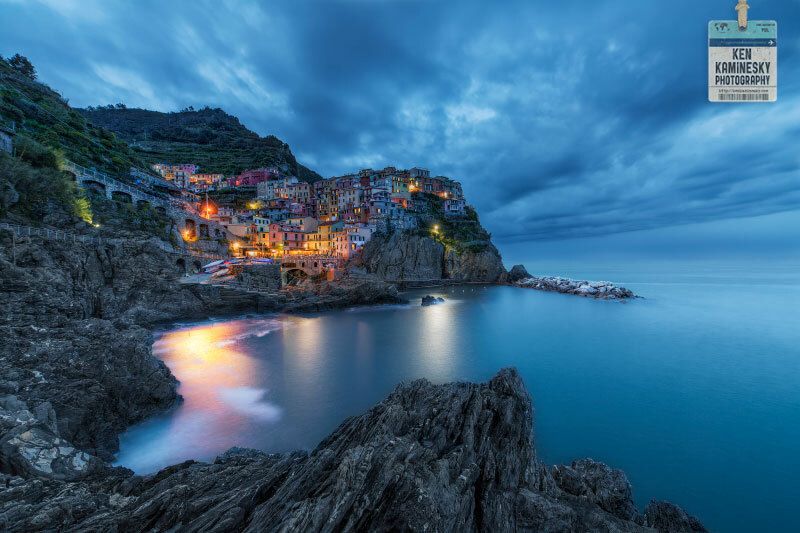 In 2013, he founded Mediterranean Photo Tours, a company that offers photography tours and workshops in the most beautiful locations of the Mediterranean. His work has been published in magazines and exhibited in art galleries worldwide. 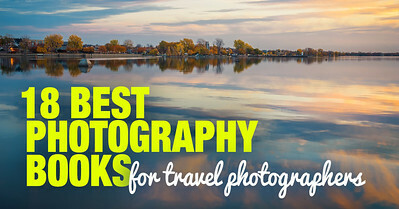 He is also the host of the popular travel photography podcast, The Traveling Image Makers. It would be hard to pinpoint a specific location, as the world is so big, so varied, and so beautiful. One country that is dear to my heart, however, would be Morocco, where I have been more than once and by which I was never disappointed. Morocco is gifted with some incredible natural beauty, from its immense coastline to lush and verdant hills in the north, to the impervious Atlas mountains and the desert expanses of the south. Its cities offer a compelling mix of ancient and modern. The impression many first-time visitors get of a Moroccan city is that of a dirty, chaotic milieu. Narrow lanes are flanked by high walls with scarcely a tiny window. The unsuspecting guest may well discover a hidden gem of a patio, not unlike a courtyard of the Alhambra, when entering one of the myriad dwellings through the unassuming and small doors. 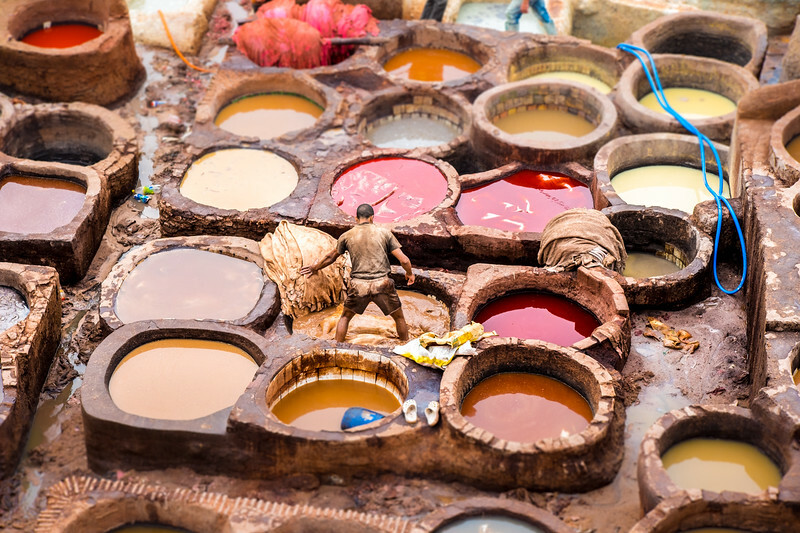 Morocco offers a unique ethnic diversity, which weaves together a rich tapestry of Arab, indigenous Berber, Sub-Saharan African, and European cultures. As such, street portraiture is an enjoyable endeavor for the well-rounded travel photographer. In short, Morocco has something to offer to every kind of travel photographer, so I will probably never get tired of visiting there. Patricia Davidson is a Pacific Northwest outdoor photographer specializing in landscape, commercial/editorial assignments and travel photography. Currently, she lives on the beautiful Southern Oregon Coast. With a background in the visual arts and web development, she sets out to produce images that express her artist vision and passion for photography as well as her love of nature and the outdoors. 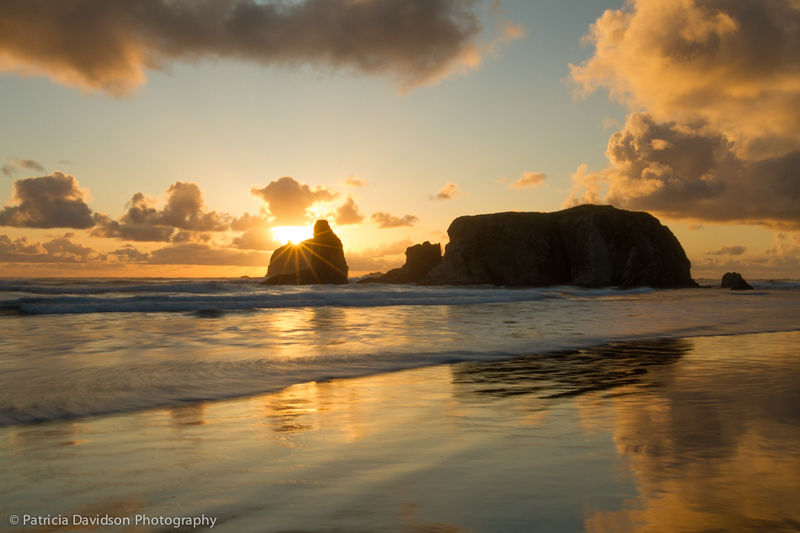 My favorite location along the Oregon Coast to photograph is Bandon. I visit as often as I can because it’s close to home. There are many compositional opportunities due to the enormous sea stacks, changing tides and seasons. The breathtaking views are the reason visitors come from all over the world to stay along the Southern Oregon Coast. I am a Landscape and Nature photographer based in British Columbia, Canada. I have always enjoyed hiking and being out in nature, so photographing what I found there came naturally. Since graduating from University I have traveled throughout the southwest of British Columbia and Pacific Northwest of Washington State exploring and making photographs. The coast of British Columbia (and Washington State) is a wonderful place for a photographer to travel. Within a few hours one can see ocean views, rainforests, alpine meadows, and desert environments. Choosing a favourite photography location in British Columbia is not easy! There is such a wide variety of landscapes and I love photographing all of them. 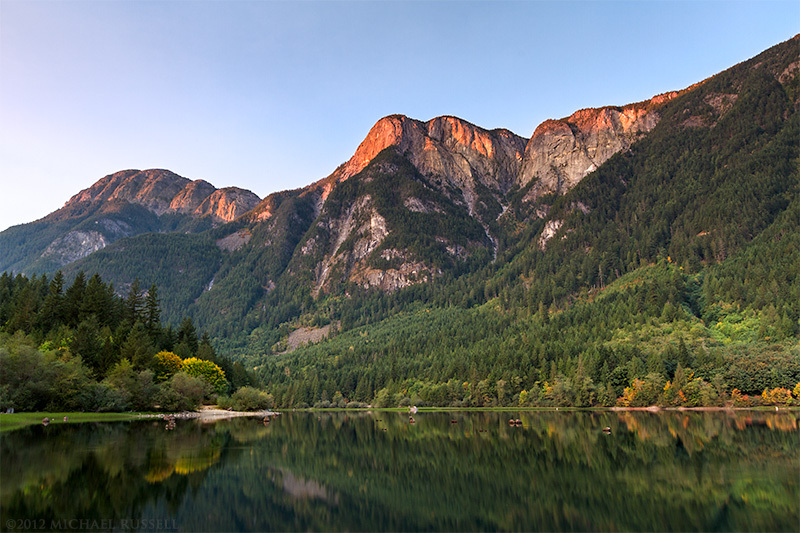 One of my favourite places to photograph is in British Columbia’s Fraser Valley. The photograph here was made in Silver Lake Provincial Park near Hope, BC. The Silver Lake area has waterfalls, rushing rivers, mountains, and the lake itself all within a short distance. Silver Lake often has a calm surface in the evenings which is perfect for reflections of the surrounding mountain peaks. I am a professional photographer specializing in Landscape and Nature Photography for nearly 25 years. My photography takes me to some of the most scenic National Parks and Wilderness areas in the Northwest as well as the rest of the United States and Canada. Living in the town of Bellingham Washington, my passion is being out in the natural world, whether it is backpacking skiing or just hiking a local trail. I’ve been the exploring natural environments with my cameras since I was a teenager. Nothing gets me more inspired than being in the wilderness and photographing the beauty of nature! Picking my favorite location to photograph is a very difficult task! Above all other subjects I am drawn to photographing rugged glacier clad mountains in pristine wilderness settings, so I would have to say British Columbia Canada is at the top of my list. The province contains seemingly endless ranges all with their own distinct personality. This image of Mount Robson in the Canadian Rockies was one of the first locations I was drawn to in the Rockies. 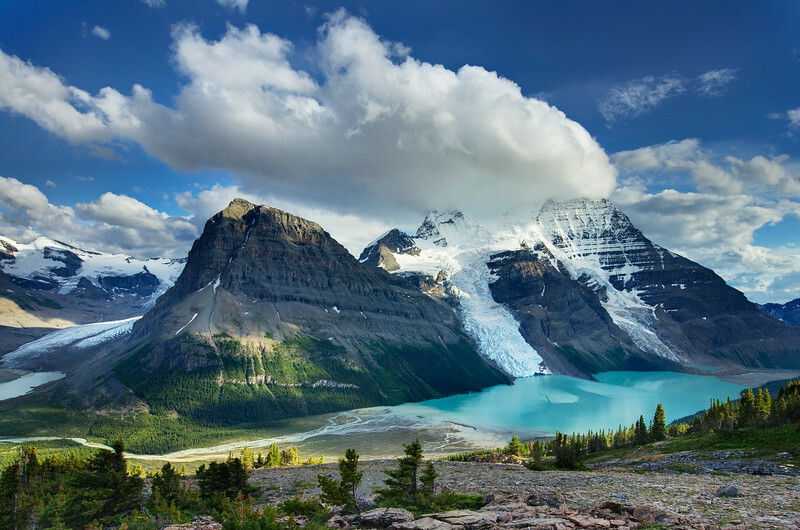 Although it is a heavily visited area Mount Robson displays all the classic characteristics of spectacular mountain scenery, large glaciers, high jagged peaks, turquoise lakes, flower meadows and rushing rivers. 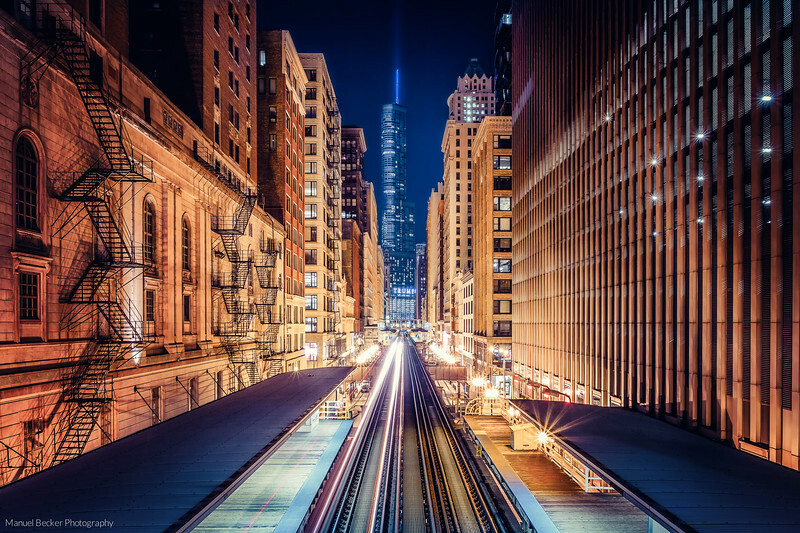 Manuel Becker is a professional city- and landscape photographer and the founder of Locationscout, a platform for discovering & sharing amazing places for photographers. He is living in Germany near Cologne in the beautiful Rhineland. He loves traveling and discovering all these beautiful places around the world. Chicago in my opinion, is one of the most beautiful cities in the world for photography. There are so many great places to discover and the city offers anything a cityscape photographer could dream of like an amazing skyline, a really beautiful waterfront and the famous overground trains, well known from movies like Batman. For me, the most inspiring place to go to capture the mood of the city was Adams/Wabash station with the view towards the Trump Tower in the center of the city. I am a huge fan of contrasts in my photos, so this spot is perfect for me during the blue hour when the warm colors of the buildings and the cold blue tones of the background create an amazing scene I could enjoy for hours. Kuwaiti born and based landscape & cityscape photographer who loves to travel and capture the beauty of mother nature. 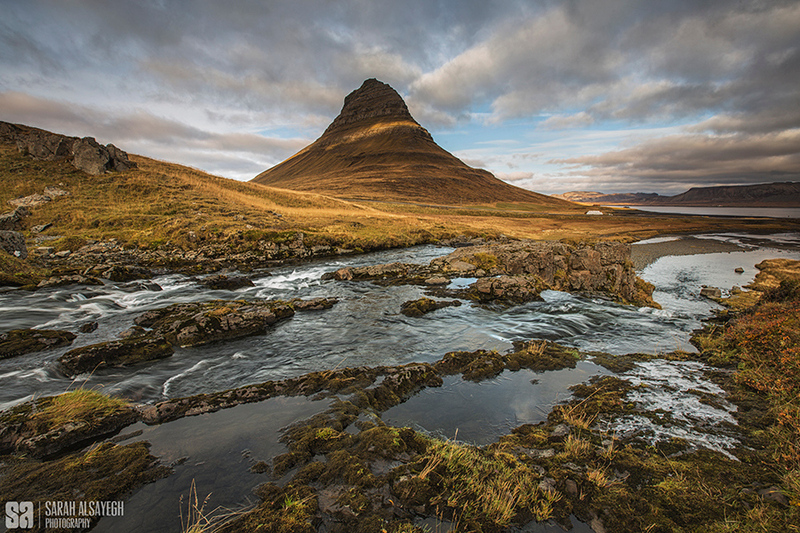 If any landscape photographer wants to capture the pure beauty of nature, and where Fire meets Ice , then Iceland is the place for all Landscape enthuses. 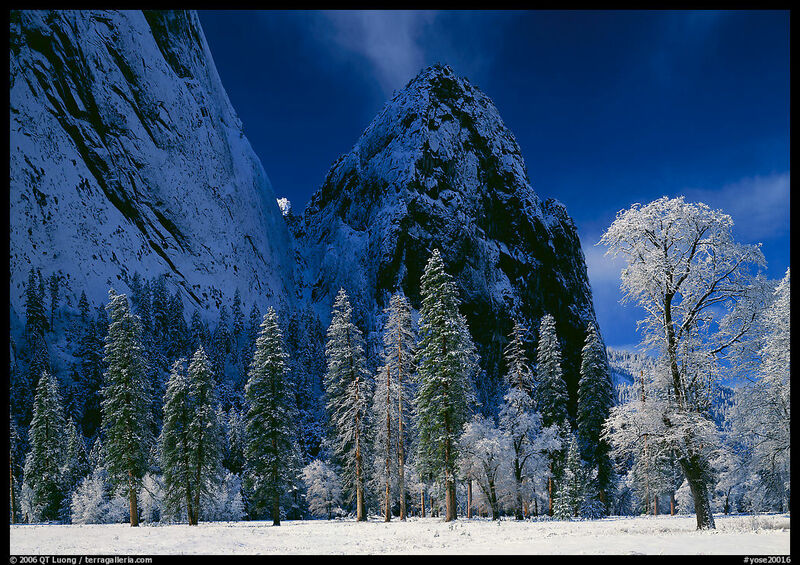 QT Luong is a full-time photographer from California, known for being the first to photograph all 59 US National Parks – in large format. Ken Burns featured him in “The National Parks: America’s Best Idea”. His photographs, published in dozens of countries around the world, have been the subject of the two large-format books, several magazine profiles, solo gallery and museum exhibits. If I was to pick a favorite US National Park, it would have to be Yosemite. Its deservedly famous views of cliffs and waterfalls are among the most spectacular in the world, but the Yosemite Valley represents only a small fraction of the beauty the park has to offer. There is the 95% other areas in the high country, as well as the smaller sights, the more intimate details of nature. What makes it special to me is that it was the place that draws me to California, the first National Park I had heard of and visited, and the time I have spent there on repeated visits. Yosemite offers a lifetime of climbing and hiking. Outstanding locations are plenty in Yosemite National Park, but if I’d have to name a favorite, this would be El Capitan Meadows. El Capitan Meadows is located next to the park loop road in the Valley, just at the base of El Capitan. 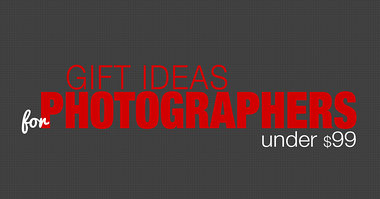 Slovak photographer based in the capital city Bratislava. Focusing mostly on landscape and architecture photos, with the most favorite photo subject being bridges from all around the Europe. Slovakia has many great photo opportunities, from beautiful mountains and landscapes to very old cities with a huge number of castles. But if you are ever in the capital city, Bratislava, there is one spot you should not miss. And that is the top of the SNP bridge (also known as the New bridge). You get a stunning view of the whole city, and once the night comes, it looks like a wonderland. It always seems that we don’t truly begin to appreciate something until we loose it. I was born in China and spent many childhood years living there before my family moved to Canada. I didn’t remember anything particularly exciting about the country. It wasn’t until when I went back to China more than a decade after I’d left that I really started to see the country for the beauty it really is. Some of my favorite places to visit in China are all in the south, think Yunnan, Guilin, ZhangJiaJie, the region is filled with rugged mountains, tranquil rivers, and exotic minorities. But every time I visit, I always head first for the majestic Great Wall of China. There is nothing more satisfying than climbing a few hours on the man-made structure that stretches hundreds of miles, and nothing more gratifying than watching the sunrise over the Great Wall. Traveler, photographer, wanderlust sufferer. Writer, poet, blogger. I take photos, share photos, and write about things that interest me. My photographic preferences are landscapes and cityscapes, and I especially love street scenes in Europe. My photographic style is expressive and colorful – that’s just how I see the world. My camera is my accomplice and my co-conspirator. It compels me to get out the door and to go see something. My hope is to motivate people to travel and take photographs, to inspire creativity in others by sharing what I create, how I create it, and even what I use to create it with. I hope to inspire people to go explore someplace new. I just hope to inspire people to get up and give it all a try. So go see something new. Try something different. Travel. Take a photo. Create something. There’s a kind of magic that happens when you create. Have fun out there. We have a beautiful world on our hands, and it’s so worth going to see it. 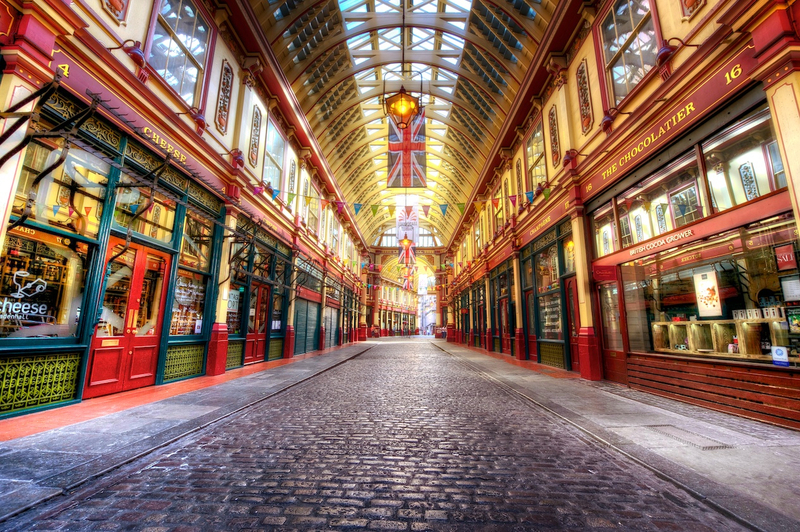 This is Leadenhall Market in London – an incredible sight in one of my favorite cities. Russ has been a professional fine art landscape photographer since 1987. He began his photographic odyssey at age fourteen and has been expressing his love for the natural world one frame at a time ever since. With an emphasis on landscape, nature, travel, and lifestyle, Russ creates dynamic imagery with a sense of detail and drama from his base in Ventura, California. 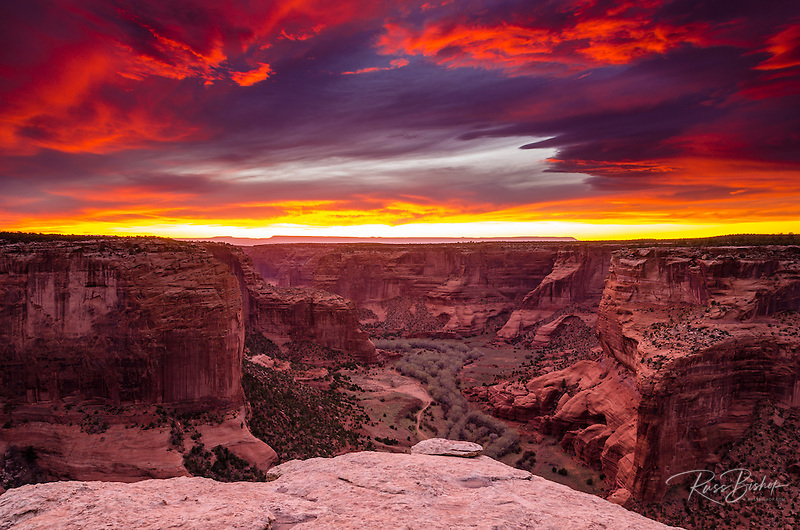 Canyon de Chelly in Arizona is one of the least visited of the National Parks, yet it’s sweeping vistas and Native American ruins make this one of the finest destinations in the southwest. The modern Navajo still farm the canyon bottom in the shadow of the dramatic cliff dwellings left behind by their ancestors. And from any of the viewpoints along the rim the Four Corners region seems to go on forever as the evening sky prepares to put on a show of its own. I am a professional landscape and outdoor travel photographer, author, instructor, and photo editor based out of California’s San Francisco Bay Area. To date, some of my client and publication credits include the National Geographic Society, New York Times, Forbes Magazine, TIME, Victoria’s Secret, The North Face, Sunset, L.L. Bean, Subaru, and The Nature Conservancy. 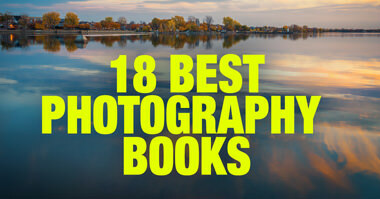 I have seven books on California to my credit, including my latest, the award-winning, Photographing California; vol.1 – North. One of my favorite places in California is the coastal regions of Humboldt and Del Norte Counties, home to the giant Coastal Redwood forests. Here there are numerous groves of protected old-growth redwood trees, which stand like solitary giants who’ve come together in some kind of ritualistic gathering. 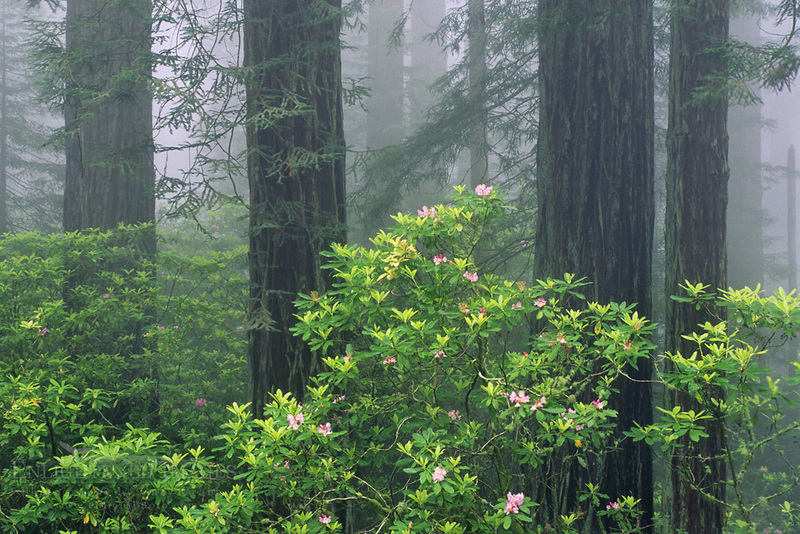 The Humboldt Redwoods State Park south of Eureka are a great place to explore, and which can be reached by driving about four hours north of the Bay Area on Highway 101. Not too far south of the Oregon border is a group of parks in Del Norte County collectively called the Redwood National and State Parks, which are home to nearly half of the state’s remaining old-growth redwood forests. In springtime, these forests are highlighted by the seasonal pink blossoms of the rhododendrons. Regardless of the time of year, the redwoods are a very special place, like a natural cathedral. When shrouded in fog, they become even more magical, mystical, and impressive, as if locked into a small quiet world separate from every other place on the planet. Travel Writer and Photographer at www.EyeAndPen.com. Where travel meets inspiration. 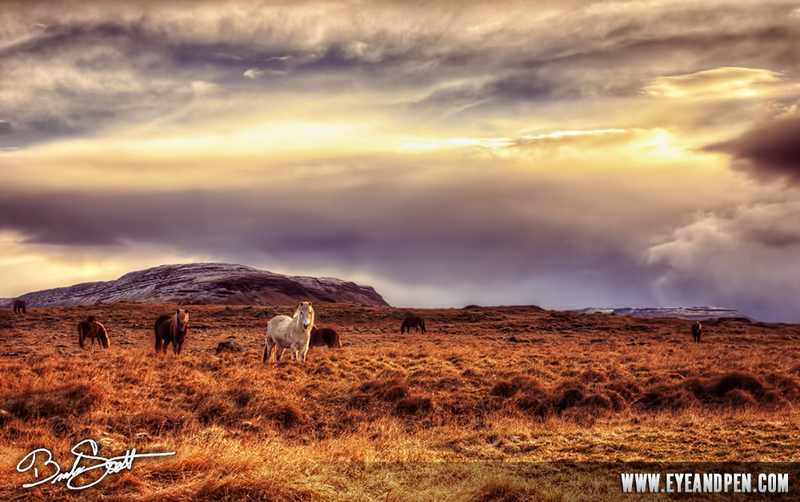 Iceland is one of those rare magical lands that no matter the season, or the time of day, an energy seems to pulse and a supernatural vibrance appears to radiate from the land. I found that when visiting in October that Iceland’s hours of daily light begin to shrink, leaving you with a most transformative brilliance – it simply transforms the colors and the mood of the landscape, like I’ve never seen before. Juergen is a Boston based fine art photographer with a passion for outdoor and nature photography. When not chasing the light over beautiful rural New England landscapes, he often can be found exploring and photographing the architectural highlights of Boston. 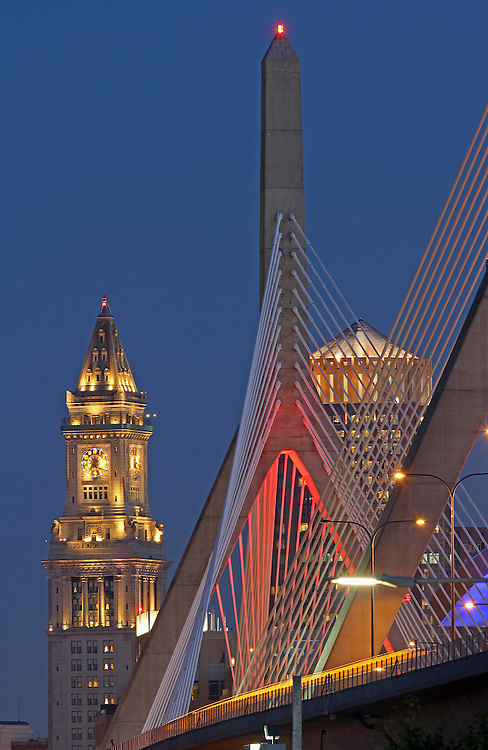 Juergen is fascinated by the magical moments that only last a few minutes when twilight and city lights merge as one and provide photographers with the opportunity for capturing the most beautiful Boston skyline photography and cityscape photo art. There are many Boston skyline photography locations that are worth mentioning: The top of the Museum of Science parking garage is unbeatable for its convenience and pristine evening views of Boston landmarks such as the John Hancock Tower and Prudential Center with the historic Longfellow Bridge as a pleasing foreground feature. Memorial Drive has plenty of opportunities to explore and provides exceptional city views of Boston’s famous landmarks along the Charles River in the morning and at night. East Boston makes for a great Boston panorama photography location while Fan Pier located in the buzzing Seaport District provides also stunning views of downtown and the financial district dawn or dusk. The unfamiliar view in Charlestown near Bunker Hill Community College is very unique and provides an interesting take on Boston landmarks such as the Custom House of Boston, the Leonard P. Zakim Bunker Hill Memorial Bridge and One International Place. Therefore it must be recognized as one of my most favorite photo spots for Boston skyline photography. Travel Photographer and Blogger with a (sometimes questionable) fascination with Japan, cake and my own mustache. Yes. My own mustache. Japan is a country that I’ve come to consider a home away from home. The people are friendly, the culture is fascinating, and as a travel photographer, Japan provides a full and never ending range of subject matter from incredible cityscapes and modern architecture, to the natural wonders of Mother Earth as well as a perfect blending of the two. 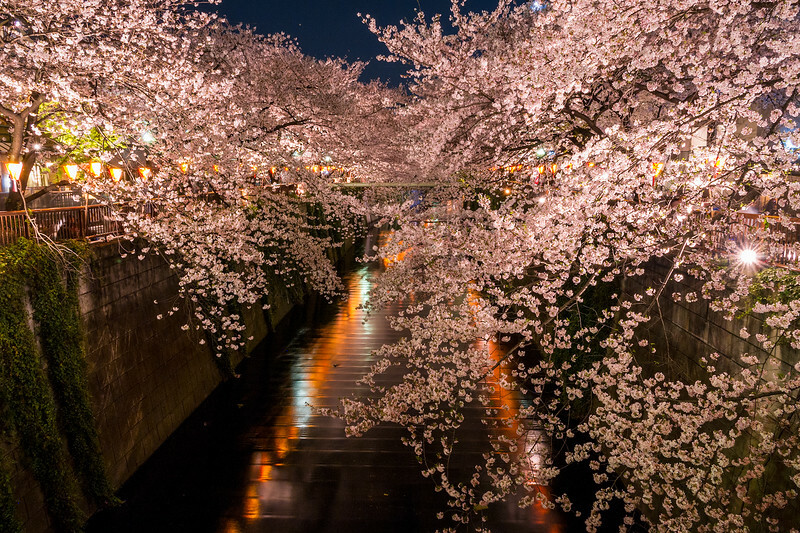 For the nature lover, Japan is one of those countries that exhibits what each season is truly about. Hot, fun and humid Summer festivals to rich and vibrant Fall colors to a perfectly white Winter wonderland to what is by far my favorite season there, the cherry blossoms of Spring. And for the traveler that loves the modern marvels of incredible architecture and the never ending sea of skyscrapers and lights, there probably isn’t another city around that provides so much easy access to get high above the skyline in order to view some of the most wonderful cityscapes on that side of the world. If you find yourself in Japan, make sure to bring plenty of memory cards for your camera and an open heart because you could find yourself totally in love with the country. Nature, fine art & travel photographer, graphic / web design geek, trainer and all-around outdoorsy type. 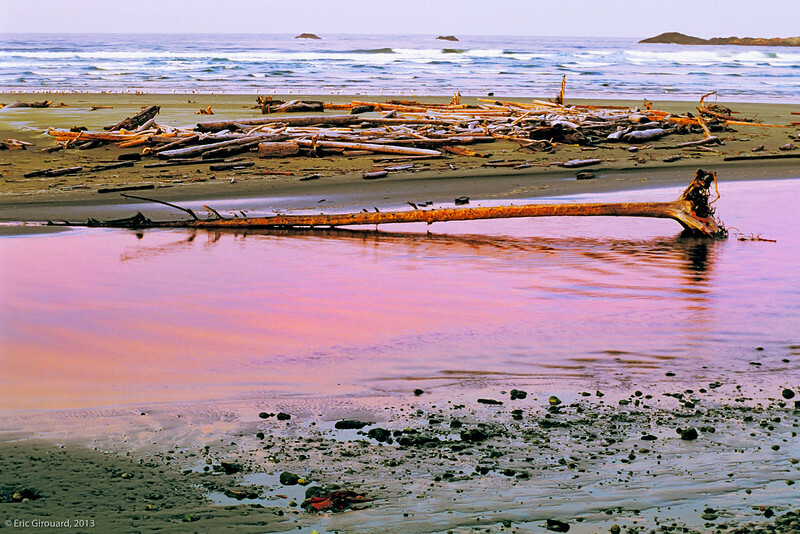 Pacific Rim National Park is one of Canada’s greatest national parks. It combines lush rain forest, giant trees, pounding Pacific surf, wildlife (eagles in particular), great hiking trails and a beautiful sense of isolation and communion with nature if you get there outside of high peak tourist season. This sunrise image, for example, was shot in early March 1993 as I spent days by myself in the park without seeing more than a single person or a couple at a time. 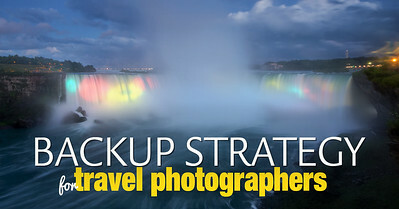 Viktor is travel, landscape photographer and educator from Montreal, Canada. For years Viktor has worked as a designer in a range of areas from graphic design and web design to multimedia design and broadcast design. But in the last decade, he made a transition to photography. 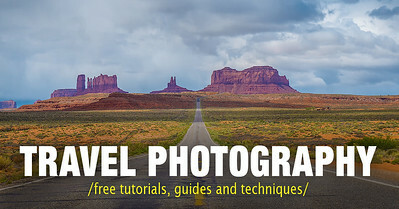 He runs the popular travel photography blog, Photo Traces, where he shares his experiences as a travel photographer and also teaches the different aspects of travel photography. My favorite travel photography location by far is the coastal drive from Los Angeles to San Francisco. And this is one of the most beautiful spots you’ll find during the drive along California State Route 1. 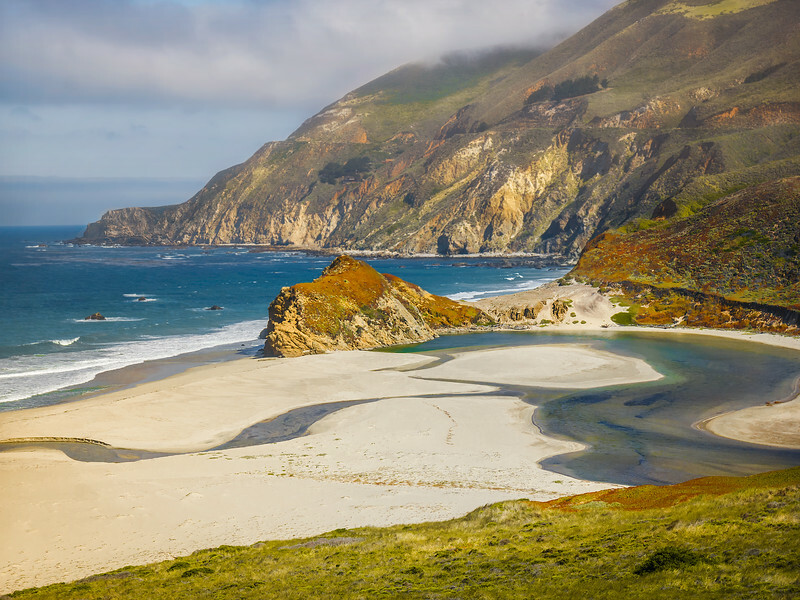 It’s located where Little Sur River empties into the Pacific Ocean, only few miles from Carmel and Monterey. If you have amazing photo location to share please leave the comment below. 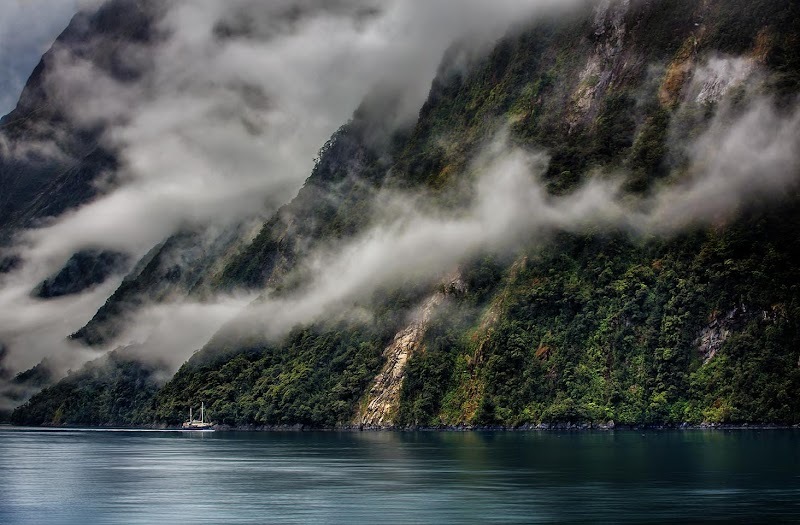 The fifth photographer from the top, Karen Hutton, shared a photo of her favorite place, New Zealand. beautiful. I want to visit them all. I look forward to my hike with camera to Mt Robson this August after seeing that photo above! alaska is one of the most beautiful places i have ever been/photographed. i loved it! The journey start from England -> Belgium -> Holland -> Germany -> Denmark -> Sweden -> Yusgolavia -> Greece -> Hungary -> Austria -> France -> England. Immersed myself in nature, history, culture, food and friendship, I had them all! Can’t wait for my next destinations…..
Canyon de Chelly is not a national park; it is a national monument. Canyon de Chelly is entirely owned by the Navajo Tribal Trust of the Navajo Nation. The Navajos are not descended from the Ancestral Puebloans who built the cliff dwellings in Canyon de Chelly; more likely the Hopi are descended from the people who lived in the long abandoned cliff dwellings, but moved on about a thousand years ago quite possibly because of an extended drought. The Hopi who now live below and atop mesas about 70 miles west of Canyon de Chelly. The Navajo did not migrate to the Canyon de Chelly area until several hundred years after the cliffside dwellings were abandoned. The Navajo are Athabaskan and actually speak the same language as some Alaskan Native Americans. I lived with the Hopi and Navajo for several years and hiked into Canyon de Chelly several times with my Hopi photography students and many other times on my own to photograph the canyon. It is an incredible experience I would recommend without hesitation. I will be conducting a photo workshop there in 2016. I never had a chance to swing by Canyon de Chelly. Maybe next year. I am planning driving trip from Denver to San Francisco for 2016. Finally, I had a chance to visit Canyon de Chelly last May, loved it. It is probably one of my favorite locations in the Southwest. As you mentioned it belongs to Navajo Nation but at the same time managed by National Park Services with no entrance fees. Very unusual setup. I am pleasantly surprised to see Bratislava/ Slovakia on this list! 🙂 Bratislava looks incredibly beautiful on the above picture! 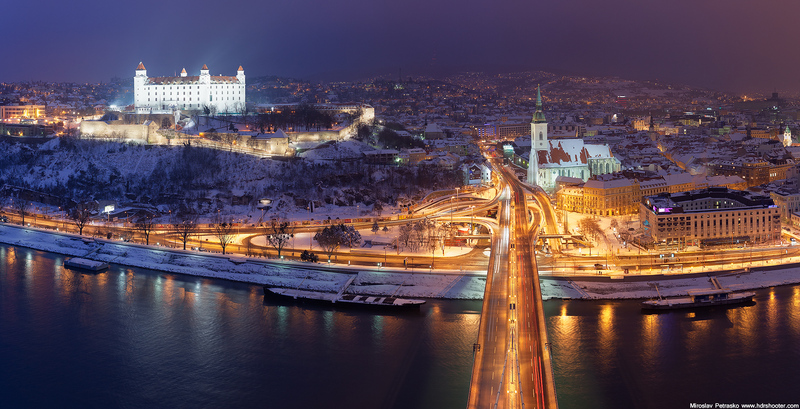 Bratislava is a native city of Miroslav and he is an great photographer who takes amazing photos of cityscapes. I believe Bratislava is perfect subject for his art.